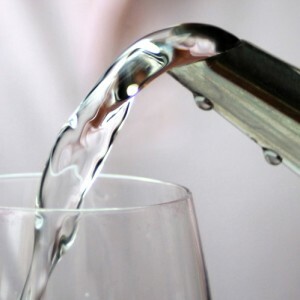 Home » Email Daily Updates - Articles » Water, Water Everywhere: What’s the Best Kind to Drink? Summer is officially here, and that means hot weather is upon us. It’s important to drink more when the temperature climbs to avoid getting dehydrated. 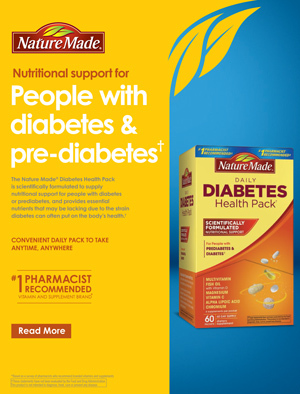 However, it’s just as important to choose the right kind of drink if you have diabetes to prevent your blood glucose from spiking. Many popular beverages, like soda, sports drinks and ice tea, are loaded with sugar and calories. One of the best beverages to reach for is water. Water helps you stay healthy, and has no calories or carbohydrate. That said, you might think that water is, well, boring. But it doesn’t have to be! Here’s the rundown on some of the different “waters” you can buy. Give them a try! Seltzer water: Sometimes called “sparkling water,”this is plain tap water to which carbon dioxide gas has been added. It usually does not have any minerals in it, but is pleasantly fizzy. You can buy plain (unflavored) seltzer water, or try one of the many different flavors it comes in. Luckily, these flavors do not add any calories or carbs to the drink. Club soda: Club soda is almost the same as seltzer water, but with added minerals, like potassium and sodium. They may give the drink a slightly different flavor than seltzer water. Mineral water: If you’ve ever ordered Perrier or San Pellegrino at a restaurant, you’ve had water that contains naturally dissolved minerals from a natural underground source. Mineral waters cost more than seltzer and club soda. Tonic water: Tonic water is carbonated and contains quinine, a little bit of sugar, citric acid and sodium benzoate. Quinine adds a bitter taste, making tonic water great for alcoholic beverages like gin and tonic. You should keep in mind, however, that 8 ounces of tonic water contains 90 calories and 23 grams of carb. A better choice might be diet tonic water, which contains a non-nutritive sweetener, such as aspartame or saccharin, with no calories or carbs. Enhanced water: Enhanced water is water to which vitamins, minerals, electrolytes, fiber, herbs or natural flavors have been added. Examples include Vitamin Water, Propel, Hint, Smart Water and Zico. Read the Nutrition Facts label very carefully if you choose to drink enhanced water. Some of them contain a lot of calories and carbohydrate. For example, a 20-ounce bottle of Vitamin Water “Energy” contains 120 calories and 31 grams of carb. You can get Vitamin Water “Zero” which contains 0 calories and just 5 grams of carb, but know that this version contains stevia and erythritol. This sugar-alcohol can cause gas, cramps and diarrhea in some people. In general, you really don’t need to drink enhanced waters to get your daily dose of vitamins and minerals. You also do not need beverages fortified with electrolytes unless you are an athlete. Don’t forget that you can make your own “smart” water: slice up lemons, limes or oranges and add them to a pitcher of water, or try cucumber slices and fresh mint. Another idea is to add some frozen fruit, such as raspberries or cubes of mango to your water. As they defrost, they’ll add a pop of flavor. Or, add a splash of pure fruit juice to seltzer water to give it flavor without too many calories or carbs.